SADLY, I have bad news to report from East Timor. It is not yet clear how long my colleagues and I will be able to freely report the news. But readers should know, things are not what they seem in the glowing press releases from Government Palace in Dili. The government, through its members in the national Parliament, is taking steps to limit basic freedoms held by Timorese citizens. East Timor is now a vibrant and peaceful young democracy, but a few weeks ago it took a significant step backwards towards the days of the Suharto regime, when Indonesia occupied East Timor for 24 years between 1975 and 1999. On May 6, the national Parliament of East Timor passed a law to regulate the media and freedom of expression in East Timor. The law has yet to be promulgated by the President of the Republic, Taur Matan Ruak, although it was sent to him to pass last week. The law is not only undemocratic but is also in violation of the constitution. The constitution gives rights to the media and citizens for freedom of expression in articles 40 and 41, but the new law seeks to limit, restrict and in some cases terminate those rights. East Timor is in danger of becoming a guided democracy: one in which the democracy responds not to citizens’ interests, but to those of the political and moneyed elite. In East Timor, that elite is feeding happily on the more than $US15.7 billion (A$16.8 billion) in the nation’s Petroleum Fund. This is something they are seeking to secure in the long term. The elites are creating measures to silence dissent and public debate about government programmes and public spending. One way in which they are doing so is through this new media law. Some of the most serious concerns citizens and media actors have about the new law include its measures to define media broadly so as to include citizen media. That means anyone who collects and disseminates information, such as bloggers, NGOs, institutions, book authors and even Facebook and Twitter users. The government and its lawmakers designed the new media law so that a media council of five people has the power to approve and certify journalists. The council’s independence is dubious and may be influenced by the elite to serve their interests. The law also bans student and freelance journalists unless they have been certified by the proposed, and politicised, media council. This council will be selected by Parliament and media representatives, but paid for by government. Alarmingly, especially given the role of international and Australian media in East Timor’s struggle for independence, foreign journalists will be barred or require government permission to report from East Timor. This will effectively clamp down on any foreign media except those doing good news stories. Perhaps foreign journalists will have to smuggle themselves in and out as tourists again? This is reminiscent of the work that I did in the 1990s when helping foreign correspondents report on our struggle against the Indonesian military dictatorship. The law also bans political, business and state employees from acting as media or journalists. The media council can find that citizens have contravened the law and they would then face harsh penalties. In essence, this copies the defamation law which was intentionally removed from the new penal code. I was investigated in 2009 under that defamation law for reporting on the corruption practised by the then Minister of Justice Lucia Lobato. She is now serving a multiyear sentence in prison. Perhaps if this law was in place then, it would be me in prison now instead of the ex-minister. So the elites of East Timor are concerned that free speech will limit their ability to control and abuse the Petroleum Fund for their own benefit. Anti-corruption programs have had little effect. Some offenders have been made an example of, but this is mostly window dressing. The vast majority remain unhindered in their pocket-lining. Despite popular promises to limit or terminate 100 per cent lifelong pensions to all members of government and Parliament, nothing has happened. This is just the tip of the iceberg. Even the supposedly clean Minister of Finance, Emilia Pires, is under investigation for awarding contracts to her husband. But people in Dili believe this will come to nothing. Countless other members of government as well as members of Parliament, past and present, are under similar scrutiny. This scrutiny is due to media activity, and it is for this reason that media and citizens are about to be muzzled. Furthermore, the political alliance between the government and the opposition, designed to protect elite interests in the name of national stability, suggest that the elites are consolidating their position in order to divide the spoils of independence. Citizens will just have to be silent, or be made to be silent, if they disagree. Clearly, there is a conceptual divide between the citizens and the elites. The elites think they own the country, whereas the citizens do, at least in a real democracy instead of a guided democracy. If the law is promulgated, we will be significantly less free than we have been since 1999. Should this happen, there will be a significant resistance against the law, even if it means some of us have to go to prison in defence of our rights. 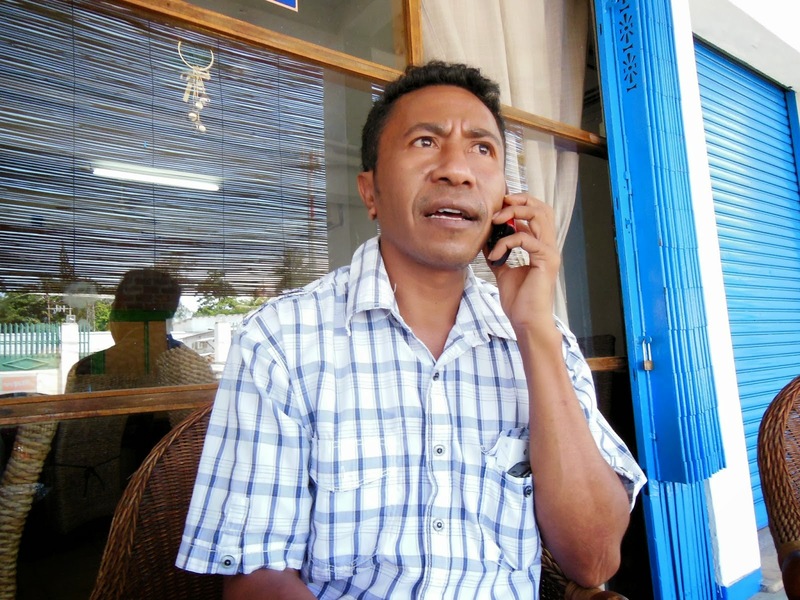 José Antonio Belo is one of the leading investigative journalists of Timor-Leste and president of the Timor-Leste Press Union. This article was first published in The Sydney Morning Herald. Republished with the permission of the author, José Antonio Belo. Will National stand down Mark Mitchell in Rodney, Paul Goldsmith in Epsom and Brett Hudson in Ohariu? So…once again the lure of easy personal gain takes precedence over the job people were elected to do – enrich and nurture their country. What is it about pots of money and politicians!